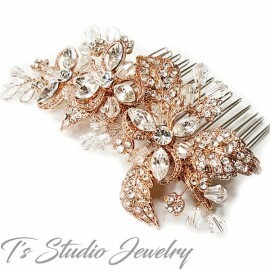 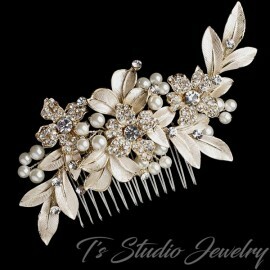 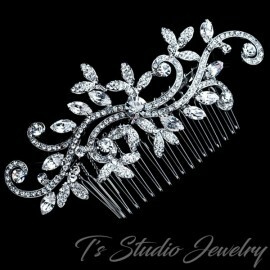 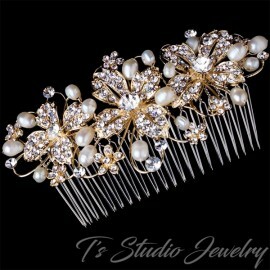 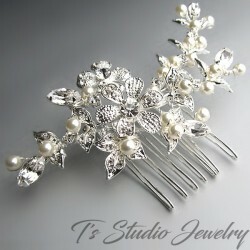 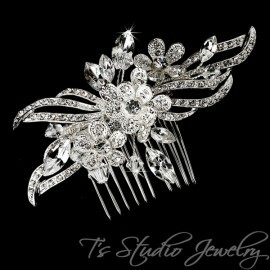 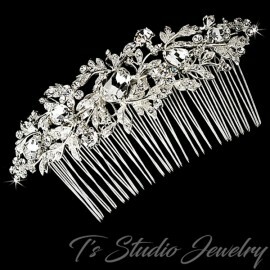 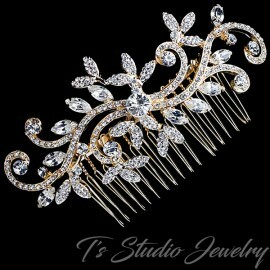 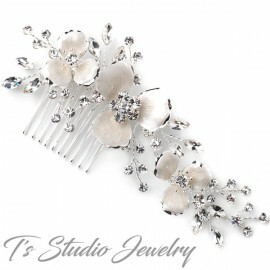 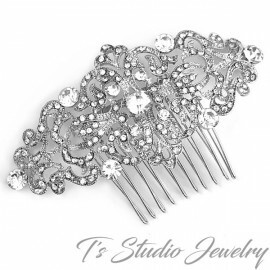 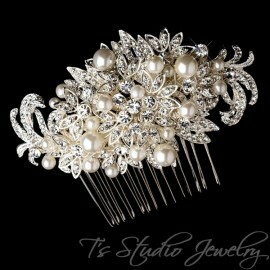 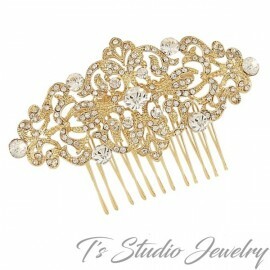 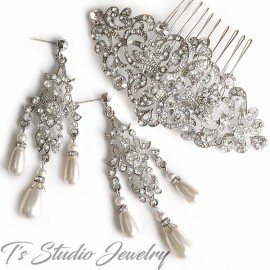 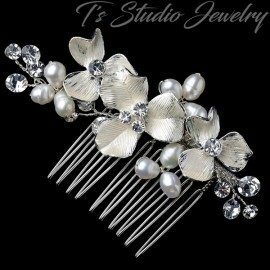 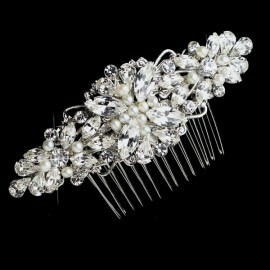 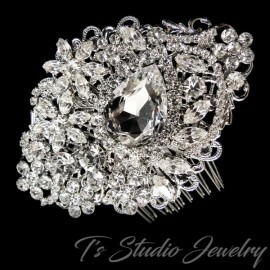 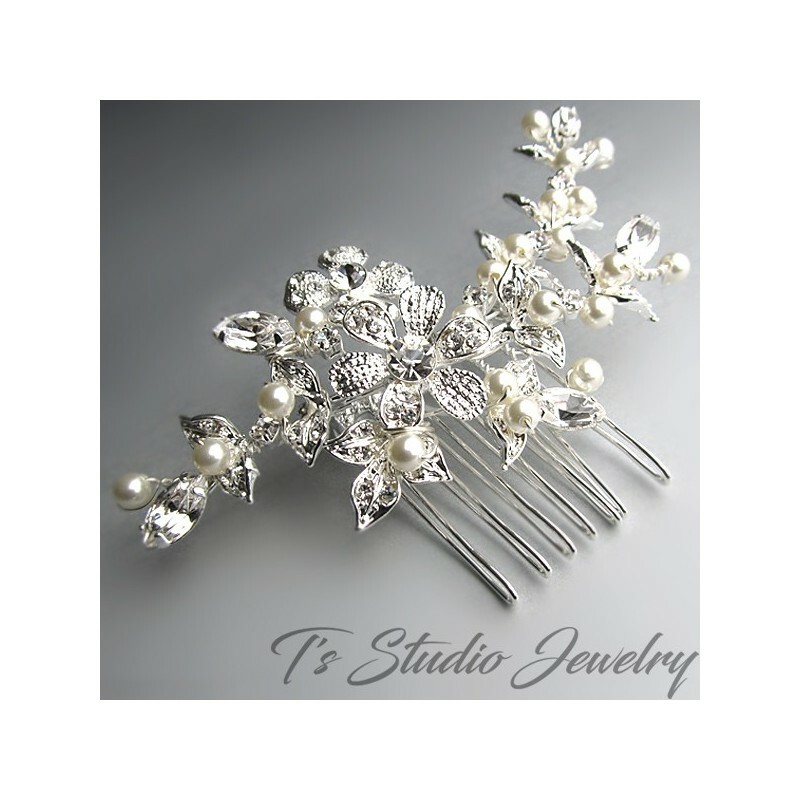 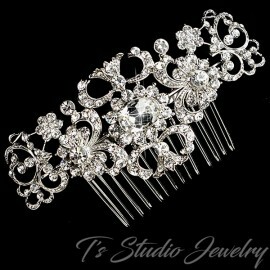 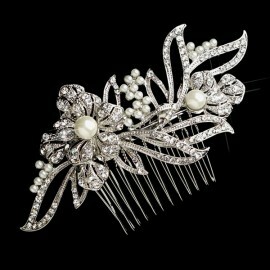 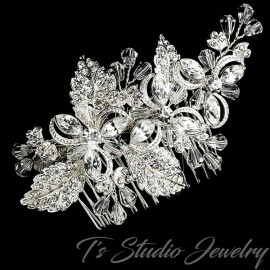 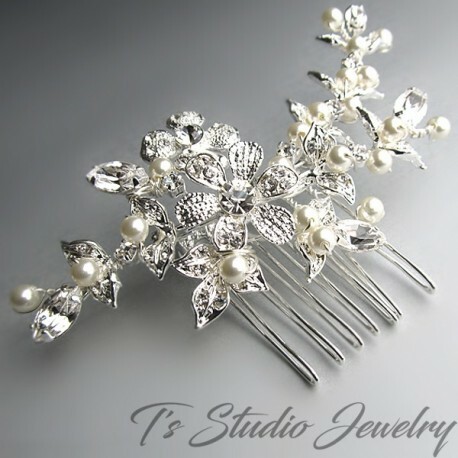 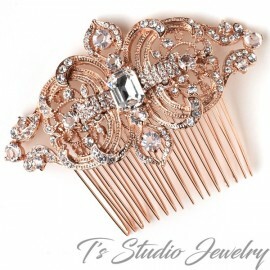 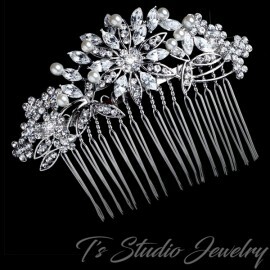 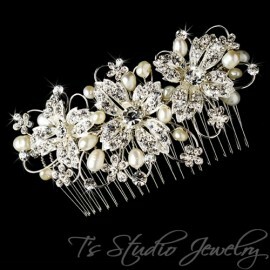 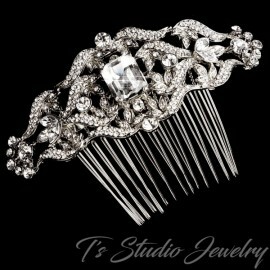 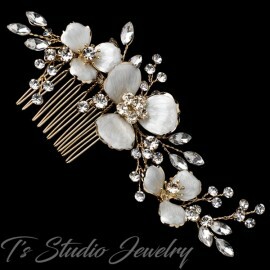 Elegant and delicate best describe this beautiful bridal hair comb. 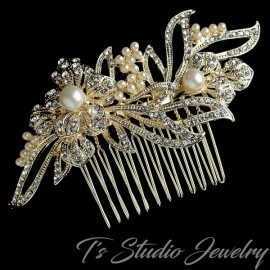 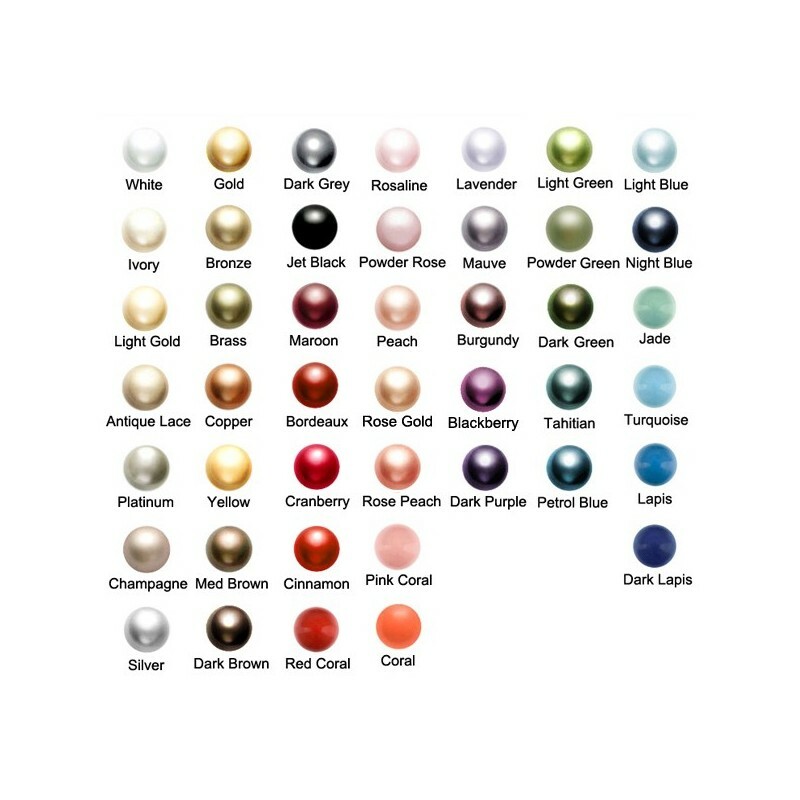 Made with Swarovski rhinestone crystals and pearls. 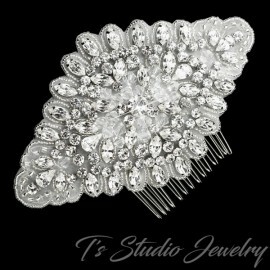 Measures 3 1/4" x 1 3/4".